Can I Sue Someone for Harming My Credit Score? | Craven, Hoover, & Blazek P.C. Can I Sue Someone for Harming My Credit Score? In today’s economy, a person’s credit score is a significant asset. When good, they open people up to more opportunities and a better quality of life. But when poor, credit scores can cause people to struggle with various aspects of living. 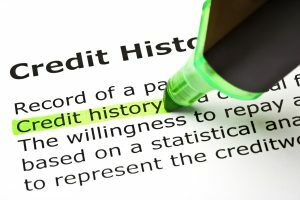 Bad credit can make it difficult, or even impossible, for someone to get approved for loans, rent a home, finance a vehicle, and even get considered for certain promotions at work. While on the other hand, good credit can provide a way of living that is much more comfortable. Needless to say, credit ratings play a major role in our everyday life, so it is natural to feel protective of yours. And unfortunately, this is a valid concern. Stolen credit cards, identities, and other types of fraudulent crimes are common these days, and can destroy a person’s credit rating. But if this ever happens to you, there may be a way to recover for any damages or losses incurred as a result. Although challenging, it is possible to sue a person for injuring your credit score. Continue reading to learn more about suing for damaged credit scores. ➢ The harm to your credit rating caused you to suffer damages or loss. It is important to discuss your credit damage with an experienced personal injury lawyer. 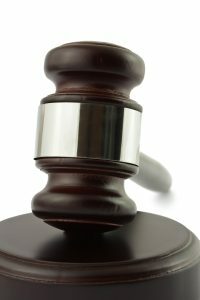 They have the proper knowledge of the law to determine whether or not you were owed a duty of care and if that duty was breached. If so, they have the experience and skills to prove that breach caused you harm. Call Craven, Hoover, and Blazek P.C. at 317-881-2700 to speak with an Indianapolis accident attorney about your personal injury claim in Indiana. Daniel Craven, Ralph Hoover, and Keith Blazek, are seasoned injury attorneys that will recover the full and fair compensation you deserve. We offer free initial consultations and never collect lawyer fees unless we win your settlement. Call 317-881-2700 to schedule a consultation with a licensed personal injury lawyer in Indianapolis, IN today. This entry was posted in Personal Injury and tagged bad credit lawsuit, damaged credit score, file a personal injury claim, Indianapolis accident attorney, personal injury claim, personal injury lawyer Indianapolis, stolen identity lawsuit, sue for damaged credit. Bookmark the permalink.